Our client is a major international bank with strong presence and well established business across the Southeast Asia region. They are looking to hire Relationship Manager, Trade Finance to expand their business in Hong Kong. You will be responsible for overall product management and strategic focus for major product lines and services for the Trade Finance business in the bank. You will also need to establish a marketing strategy plan based on assessment of competitive environment, develop client relationship to increase market share and meet customer needs, as well as ensure programs adhere to compliance/ privacy regulations and policies. The ideal candidate has a university degree and comes with at least 3 years experience in trade product sales or relationship management experience. You need to have strong knowledge in banking products, banking practices & regulations, and knowledge of Trade finance products and services. 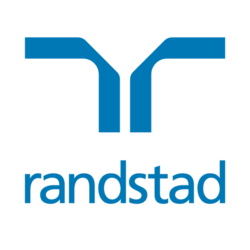 To apply please click on the link, alternatively you can send an email to alex.cheung@randstad.com.hk. For a confidential discussion, please do not hesitate to contact Alex Cheung at +852 2232 3470.